At 39 years old, Sarah Kowalski heard her biological clock ticking—loudly. Though she harbored a deep ambivalence about motherhood, she knew it was time to decide: Did she want to become a parent, even if it meant mothering solo? 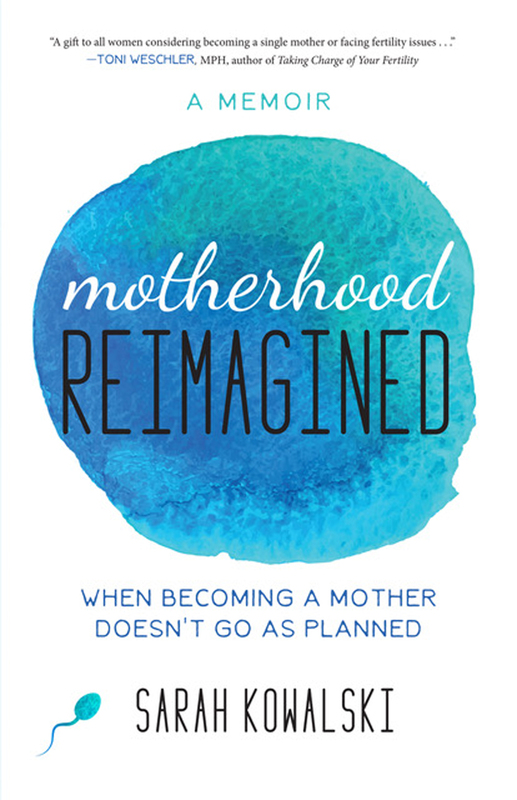 In her newly released memoir, Motherhood Reimagined: When Becoming a Mother Doesn’t Go as Planned (She Writes Press, 2017), Kowalski maps her journey from ambivalence to a fierce—and many times tested—commitment to becoming a Solo Mom by Choice. Years later, when Kowalski finds herself on the cusp of perimenopause with no long-term partner on the horizon, the chasm between her childhood baby lust and her present-day maternal ambivalence becomes the first territory she explores. Through qigong practice, meditation, and relentless self-reflection, Kowalski clears the emotional blocks to parenthood and finally answers the “million-dollar question” with a resounding yes! Reading about her transformation alone would be well worth the price of Motherhood Reimagined. But that is just the start of Kowalski’s story and the rich wisdoms readers will glean from her experiences. Once Kowalski green-lights “project baby,” she faces a series of fertility challenges that, by comparison, make Odysseus’s journey in Homer’s Odyssey look like a quick walk home from the corner store. By the time Kowalski’s fertility odyssey begins, readers have no doubt she is resilient and resourceful. Already she has slain a formidable monster of adversity. A mysterious, stress-related illness has debilitated her, sideswiping her legal career. Kowalski has sought healing through a combination of western medicine and alternative-healing practices, and from the ashes of her career she has risen as a qigong teacher, life coach, and healer. Still the roadblocks she faces on her way to parenthood shake this undeniably strong and capable woman to her core. Like many women, Kowalski is surprised by how difficult it is to conceive. She explains, “We’ve all seen the pictures on the magazine covers: celebrities, happily pregnant (with twins!) in their mid-forties. But rarely do we see behind the scenes, into what they actually went through to get there.” Kowalski learns firsthand what it takes: “Alternative treatments, Chinese herbs, western drugs, surgical procedures, IVF, sperm donors domestic and international, egg donors domestic and international—you name it, I encountered it.” This is the power of Motherhood Reimagined—through no-holds-barred honesty and refreshing humor, Kowalski offers readers a realistic view into conception after 40. Though the details of her story are at times harrowing, through each challenge Kowalski gains perspective and shares the wisdom that helps her cope when life refuses to unfold according to plan. In the end, Motherhood Reimagined is an inspiring, empowering story that reveals what’s possible when we release expectations and embrace possibility. Sarah Kowalski wrote Motherhood Reimagined for just this reason: “to offer a map to the women who come after me, to share the guidance and wisdom I gained in my struggle to become a mother.” We are so lucky she did. Sarah Kowalski is ESME’s Solo Mom by Choice Resource Guide for women starting the journey and the Solo Moms who live it.